An area half the size of Paris, BSD City is the most ambitious urban planning scheme in Indonesia to combine housing, business and commercial properties. BSD City encompasses a total area of approximately 6,000 hectares. With around three quarters of the available land yet to be developed, this huge scheme represents a unique investment opportunity. BSD has been developed for more than 19 years. 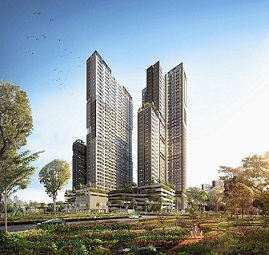 Since 2003 this gigantic project is fully managed by a subsidiary of Sinar Mas Group, Sinar Mas Land, one of the leading developers in South East Asia. First rate infrastructure and complete facilities, the best quality homes, a culture that is pro-business, a professional management team that is committed equally to both citizens and shareholders. BSD is a city designed around one thing, the people who will live, work and play here. People who will experience an unparalleled quality of life as comfortable homes, business spaces, shopping, education and leisure all come together to provide a better, healthier environment in which to live.